Students of all universities in Göttingen, who find themselves in a financial emergency through no fault of their own, can receive an interest-free loan from the Student Loan Fund. Graduation loans are awarded for a maximum of the last 8 months of the exam period. They are not granted as a substitute for services not provided by the debtors (spouse, parents) or as an increase in benefits granted from public funds (e.g. BAföG). For the loan, we charge a one-time administrative or handling fee of 1% of the loan amount. The loan amount is a maximum of 500 euros per month. Financial support of your parents or your spouse as well as your own income will be credited according to the BAföG regulations. To secure the loan, a directly enforceable guarantee must be provided for the entire loan amount. The repayment of the loan must be commenced at the latest in the 7th month following the end of the month stipulated in the certificate issued by the Examination Office. The monthly repayment instalment is usually 100 euros. 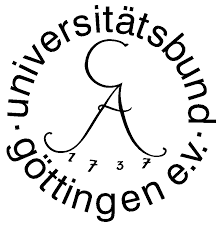 Thanks to the support of the Universitätsbund Göttingen e.V., an additional € 100.00 per month can be awarded as a scholarship for students with children for the last 6 to 8 months of study. Students of all universities in Göttingen who find themselves in a financial temporary emergency through no fault of their own can receive an interest-free loan for a maximum of € 500 from the Studentenwerk. The loan is granted for one's own living and study costs including teaching materials, excursion and internship costs. An advance payment for outstanding benefits from other funding agencies, such as BAföG funds, is possible. To secure the loan, you provide a directly enforceable guarantee. If the loan is approved as an advance payment for a benefit under the BAföG, the assignment of the BAföG supplementary payment is required as collateral. The term of the short-term loan may not exceed 3 months as a rule. The loan must be repaid by you in one sum. Dunning and debt collection costs are born by you. You have further questions or would like to apply for a short-term loan? Talk to us!